The Beginners Mind Sangha Spring Retreat is coming up soon. Beginners Mind Book Group meets at BIBS on Sundays 9:00 AM – 10:30 AM. Late arrival OK. Currently reading books by Thich Nhat Hanh: Living Buddha Living Christ and Call Me by My True Names. Buddhist teachings emphasize the importance of compassion. The Boise Institute for Buddhist Studies will host a course on how to cultivate compassion. BIBS welcomes Winston Cheyney who will be presenting Stanford’s Compassion Cultivation Training(TM). Winston Cheyney has studied the Dharma with Lama Jhampa Shaneman and Alan Wallace, among others, and recently completed the yearlong training course to be a teacher of Compassion Cultivation Training . Winston works as a Registered Nurse in Critical Care at St. Lukes in Boise, and has a special interest in the application of secular meditation practices to help healthcare providers sustain compassion and prevent burnout. The Compassion Cultivation Training program (CCT) is an eight-week program designed to develop the qualities of compassion, empathy, and kindness for oneself and for others. The training integrates traditional contemplative practices with contemporary psychology and scientific research on compassion. The program was developed at the Stanford Center for Compassion and Altruism Research and Education by a team of contemplative scholars, clinical psychologists, and researchers. Compassion unfolds in response to distress, pain or suffering. It begins with the recognition of suffering, which gives rise to feelings of concern and empathy. This, in turn, motivates the willingness to take action to relieve that suffering. At different times, and in different situations, different parts of this process (awareness, feelings, empathy, action) may be most available and/or most skillful. If you wish to attend, RSVP via email to joshrychert@gmail.com. Please RSVP only if you are able to attend all 8 of the two hour classes. There is no fee for attendance, but a donation to the Boise Institute for Buddhist Studies is suggested. 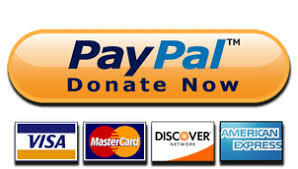 Donations can be made in cash, check, or online. The teachings do not require preparation. Further, each session is designed to stand alone, so it is not necessary to attend them all. Everyone is welcome, and the teachings are well suited to both Buddhists and folks who are not Buddhist but curious. BIBS has a new executive director, a position vacated by Dan Black who has stepped down to address some other matters. Josh Rychert, a leader of Refuge Recovery Boise and a board member accepted the role as new executive director and president of the board. Dan had helped establish BIBS in January, 2013, and has since offered beginners classes. He led the Sunday 11 a.m. Guided Meditation and was facilitator at the Sunday noon Buddhist Classics book study group. Both sessions at those time slots are expected to continue, as the group transitions with new facilitators. Dan’s last day leading meditation will be Sunday, Aug. 12. He is downsizing possessions and will offer pieces of Buddhist art to those who are interested. Anyone interested in meditation, Buddhist art, or to say hi to Dan is welcome to come visit on Sunday at 11.